In the next few days some of our pure bred Middle White gilts will be ready to go off to the Butchers, and as a result we are holding our much awaited Autumn Sausage Saturday Event on Saturday 19th October, here at Heatherhurst Grange. We will be open between 11am and 3pm, with some sample sausages to try on the BBQ, as well as selling some of these amazing sausages, which are being professionally prepared by our butcher “Mark Turner & Daughters”, from Aldershot. As always, our sausages will be prepared and vacuum packed in 6’s, and can be eaten fresh or frozen for use later on. Prices on the day will be £5 per pack, or 5 packs for £20. Due to demand we will accept reservations and pre-orders, and as a special promotion for pre-orders you get 6 packs for £20. In addition to our Sausages, we will be launching our locally produced Lamb. In order to broaden the range of produce that we can supply locally, and to the highest standards we have recently bought a flock of top quality sheep which we are rearing in conjunction with Wildcroft Rare Breeds. 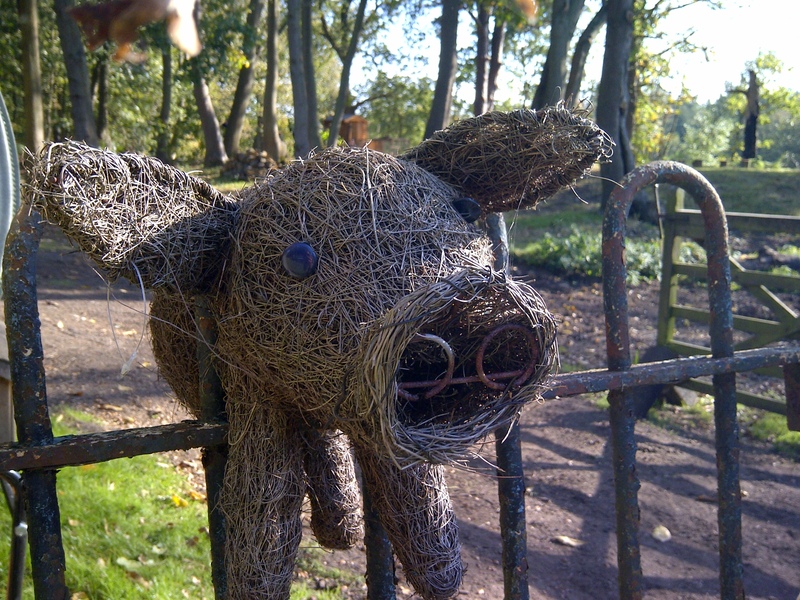 Due to the requirement for large areas of grazing, our flock are situated on the Hogs Back, just 7 miles from Heatherhurst Grange, on the other side of Pirbright. Our Lambs will be produced and butchered to the same standards as our Pork and will be available to try on the day, with some available for sale also, in the following quantities. Leg of Lamb, Shoulder of Lamb, Lamb chops. We can also accommodate larger quantities by request. Price will be approximately £8.50 per kg. As ever, please remember that Heatherhurst Grange is our home so in attending you do so as an invited guest at your own risk. Also, Children must be accompanied at all times, as we have 3 deep ponds and lots of machinery on site. We look forward to hearing from you, and hopefully seeing you on the day. 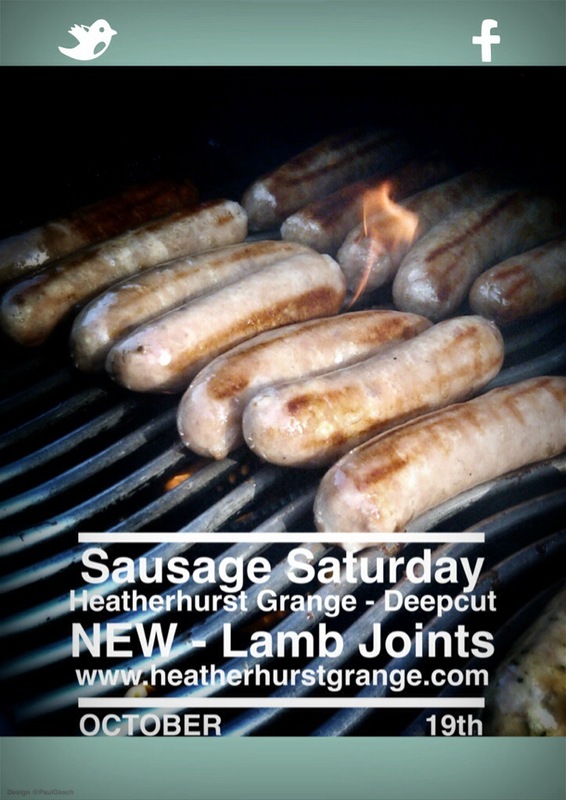 The first Sausage Saturday event at Heatherhurst Grange was a huge success. Many local residents visited the Small holding in Deepcut including the Mayor & Mayoress of Surrey Heath. Jani Dodds, the Mayoress, had brought along some acorns to feed the pigs which they were very happy with.